For those of you that are cost conscious but still want quality and features, this Sibell 2MP IP Network plug and play security surveillance package might be just what you need. This is a great package for a small business or for covering the outside or inside of a smaller home. 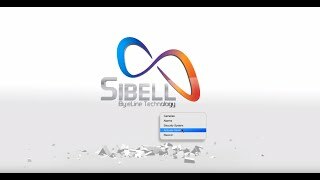 It starts out with one of our Sibell NVRs that is full of surprises. This mini NVR is capable of working with cameras all the way up to 5MP but for our purposes we’re going to stick with 2MP/1080p cameras but, if you ever decide you want a higher resolution you have the ability to change them. We’ve designed this package with ease in mind and included everything but the hard drive. Use the drop down tab above and you can choose one hard drive from 1-6TB and when you do, we will install, test and configure that for you. NOW you’re ready right out of the box! We’ve picked one of our most popular cameras and included two each of the 2MP Sibell bullets and domes. The bullets and the domes have a 2.8mm fixed lens that works well whether you’re looking for a great wide overview or a more close-up view say maybe an entrance or over a cash register! Remember that I said this was designed with ease in mind? The cameras like most electronic devices need to get power from somewhere and these cameras plug right into the back of the NVR with the included 100 foot network cables and are powered using PoE (Power over Ethernet). Because we’re confident in our products, you’ll get a complete 2 year warranty on the cameras and NVR as well as FREE US based tech support for the life of the product and FREE remote monitoring software.